If you’re looking to pre-order Fallout 4 through PSN, this PlayStation 4 theme is not exactly an incentive. Sony usually offers PlayStation 4 themes as a pre-order bonus when buying some games through its store. Some of these are dynamic themes, others are regular themes, some are even exclusive themes that can’t be obtained any other way. Themes, however, no matter how great, are at the end of the day nothing to write home about. 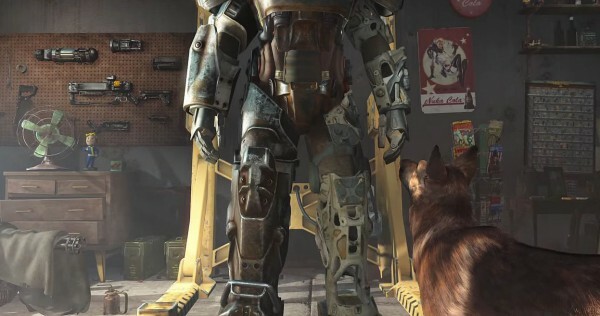 Which is why this Fallout 4 pre-order bonus theme may not even be worth downloading. It also appears to be only available through the US PSN. Here’s a video from YouTube channel MadMoneyBanks showing it off. It’s basically just a background. Yes, nobody buys games based on how good their PS4 themes are, but they’re nonetheless a bonus you will consider when looking at places to pre-order your game from.